It’s time for bed! The kitten is yawning. Look. I think it is tired. All the little animals are yawning. And the little child? Is the little child yawning too? You’ll find out in this reassuring book with flaps. 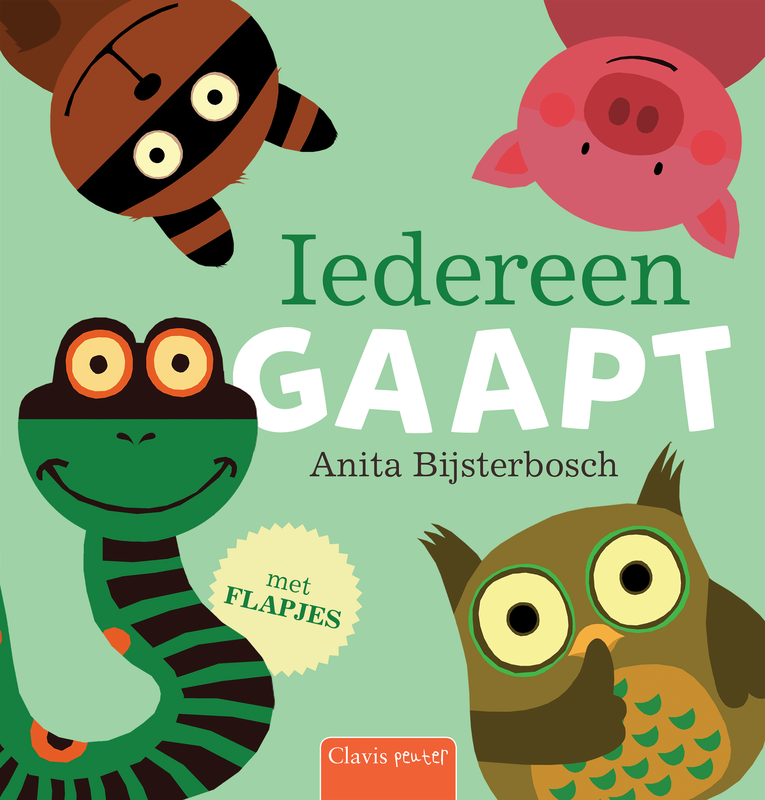 A sleepy time book filled with friendly flaps and tired animals. For toddlers ages 24 months and up, with a focus on the child’s everyday life. Todo Mundo Boceja. Brazil, Brinque-Book. È l'ora della nanna. Italy, Il Castello. Everyone is Yawning. USA, Clavis Publishing. Tout le monde bâille! France, Albin Michel Jeunesse. Todos Bostezan. Spain, Combel Editorial (Spanish). Tothom Badalla. Spain, Combel Editorial (Catalonian). Øll geispa. Faroe Island, Bókadeildin. Hər kəs əsnəyir. Azerbaijan, Üç alma. 大家都在打呵欠. Taiwan, Love You Culture Publishing. China, Xi'an Qujiang Peihao Publishing & Media Co.
Alle müssen gähnen. Germany, Ars Edition GmbH. Alle gjesper. Norway, Turbine AS. Vsi zehamo. Slovenia, Zalozba Sanje. Jidderee gaapst. Luxembourg, Kremart Edition. E-book. China, Hangzhou Redflowers Network Technology Co.